When Howard Stern announced his departure from terrestrial radio in late 2004, then-Infinity Broadcasting was left with a year to put together plans for replacements. In October, they announced a new initiative called Free-FM, branding all of its FM Talk stations under that name and included 4 different shows replacing Stern in various markets. Infinity also announced they would be flipping additional stations to the format including K-Rock in New York. 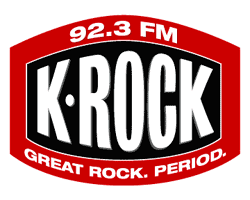 K-Rock, which was New York’s only source for current Rock music, had only earlier in the year refocused from Alternative to Mainstream Rock in an attempt to hold on to the audience leaving after Stern’s show ended each day. The new format was built in an attempt to keep the same audience all day. On December 16th, 2005 following Howard Stern’s final show, the transition to Free-FM began with a preview montage leading into “Free Rock”, the broad Rock programming that will be featured on the weekends.